FLAGSTAFF, Ariz. (AP) — John McCain hadn’t been elected to the U.S. Senate when a fellow veteran and friend spotted him at the annual Navajo Nation Fair. The Republican McCain helped usher through Congress some of the most pivotal legislation in Indian Country, including the right for tribes to open casinos. That legacy also includes criticism for seemingly favoring corporate interests over tribes. Fresh to Washington, D.C., McCain relied on the late Rep. Morris Udall of Arizona and Sen. Daniel Inouye of Hawaii, both Democrats, to familiarize himself with Native American issues. 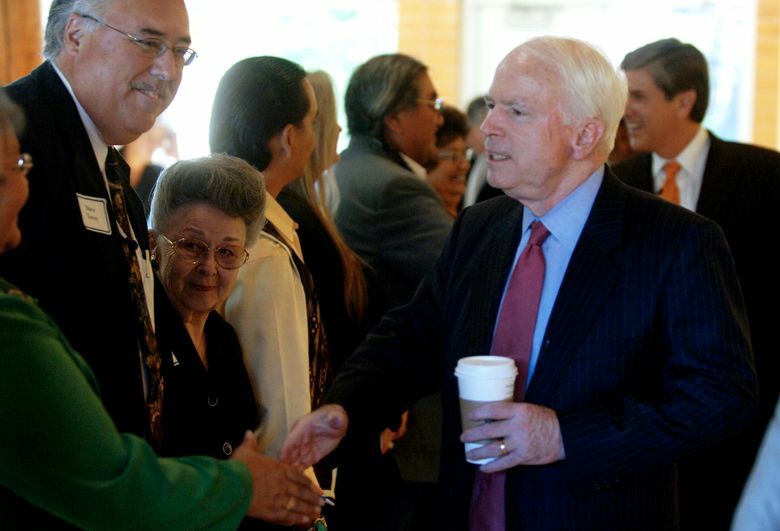 Inouye later asked McCain to join him as vice chairman on what is now the Senate Indian Affairs Committee. McCain went on to serve twice as the panel’s chairman.